In recent days, we have discussed the various phases of the disaster response process. One of the important phases in this process is the transition of one incident command to another team. 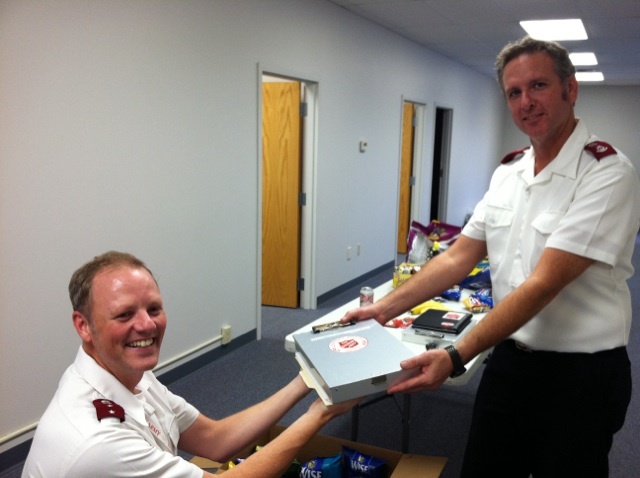 One of the strengths of The Salvation Army’s Emergency Disaster Response process is its’ ability to transfer the responsibility of command and distribution to other officers, workers, and volunteers. A typical disaster response deployment is 14 days. Of those 14 days, two days are for travel. There is one day set aside to travel to the disaster and one day to return to your original location. The 12 remaining days consist of two components: active days and shadowing days. The first and last day of this 12 day period are for shadowing the officer, employee, or volunteer that you are replacing. Contacts in the community, location of resources, and names of people who can assist in the disaster are important. It is not effective for the previous incident command team to start a competent response and them not have that work continue at the same level of effectiveness. Although comically portrayed to the right, Major Ed Binnix is handing over the responsibilities to our new incident commander, Captain Todd Mason. Captain Mason, a veteran EDS responder, has been moved from the Planning Chief position to the Incident Commander. His former position of Planning Chief has become a low priority since all of the future plans and strategies have now been put into place. Captain Mason and the new incident command team will be responsible for the demobilization of the disaster response and its’ hand-off to the local command and divisional headquarters. One of the more overlooked resources that are necessary for action within a disaster response is the volunteer. 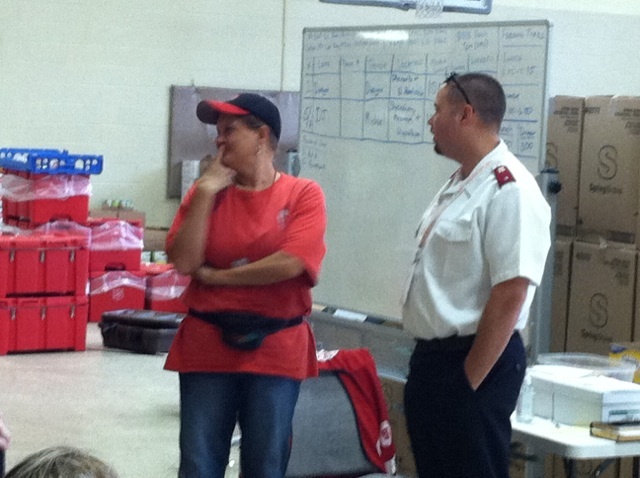 Pam from Vidalia, GA is pictured here receiving her new “badge” from the previous Operations Chief, Lt. Jason Burns. Pam has bee heavily-involved in the work of The Salvation Army in disaster back at home. Recognizing her service and request for the badge, the incident command team wanted to improve morale and joy within the overall team. One of the critical tasks of the Incident Command Team is the need to support all of the personnel with their command. Volunteers are always needed for minor and major responses. You can register at disaster.salvationarmyusa.org to sign-up to volunteer and attend classes. 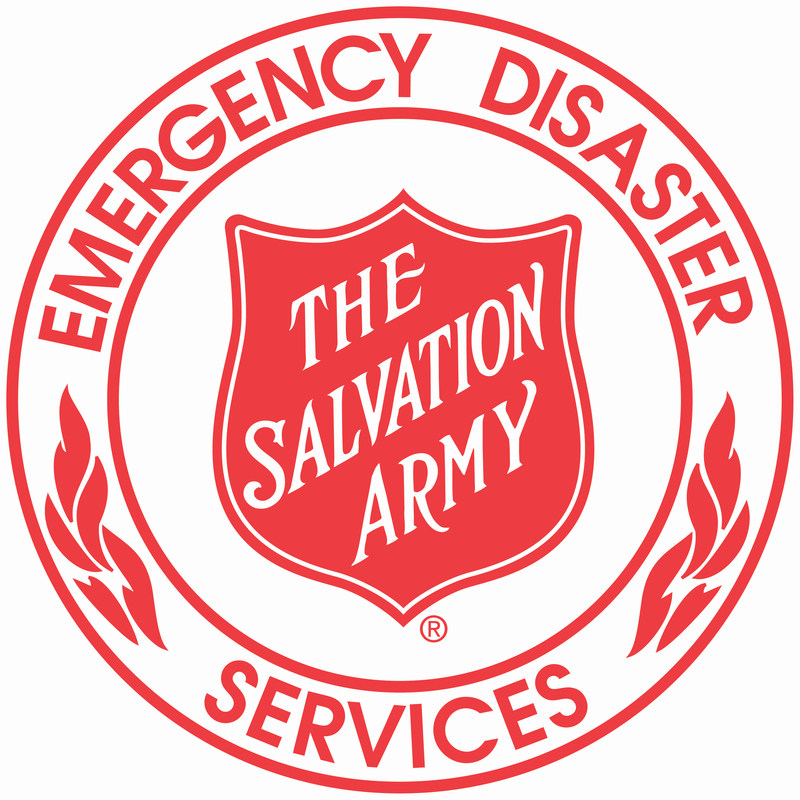 You can also find out more information about The Salvation Army by following @SalArmyEDS on Twitter. Following is a great interview with Michael Bush from Virginia. 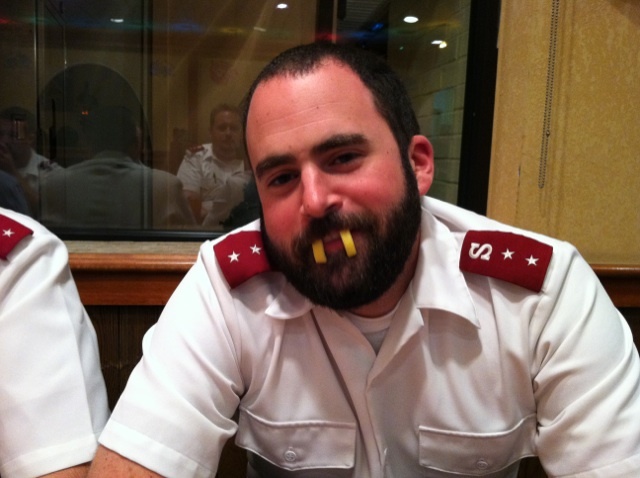 Michael is recently returned from disaster response in Virginia. He is always willing to help more people. 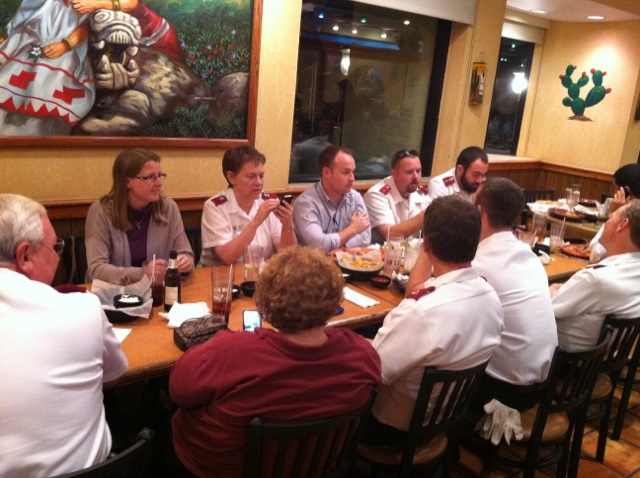 Included below our pictures of some of our incident command team having a good time together. 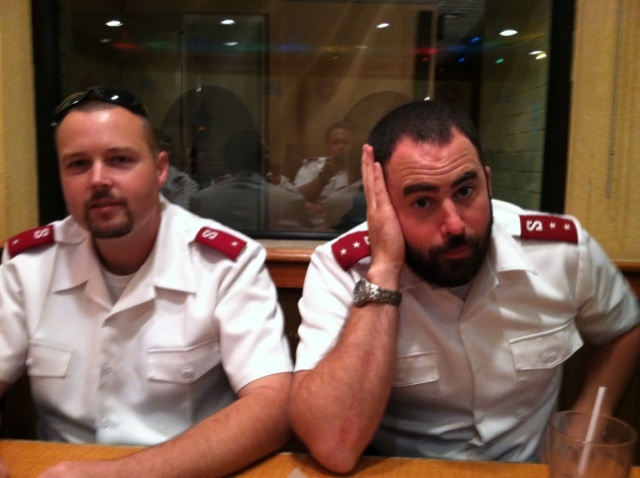 At times, laughter and fun helps the response process and gives the team the ability to face the next day.